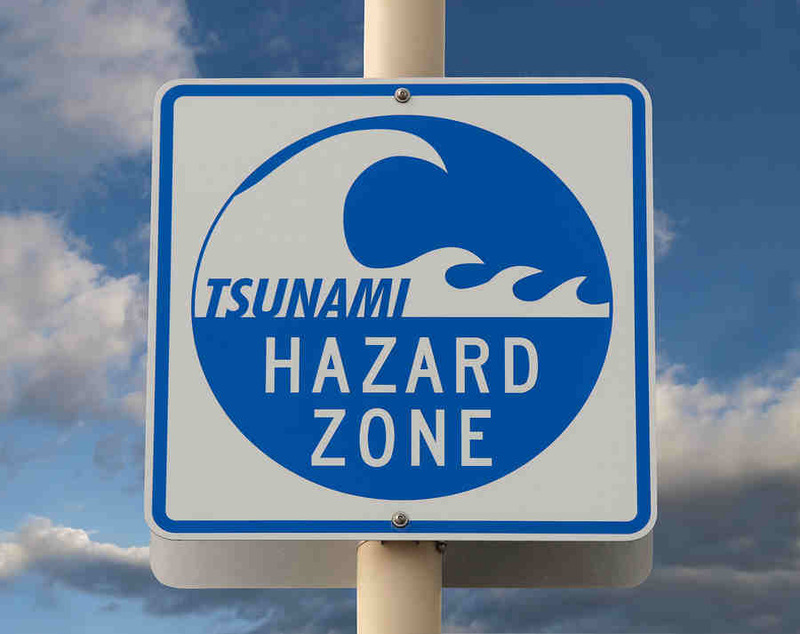 "The time has come to create an effective early warning system for disasters"
By John Flanagan, The Disaster Warning Network, Inc.
ARE YOU – likely to receive any kind of effective early warning that could save your life from the effects of these disasters ? The simple and often tragic answer is NO… And now we have the chance to make a change. FACTS - Billions of dollars are properly spent each year for necessary mitigation responses by police, fire, military, and emergency personnel to save lives and property from the damaging effects of both natural and manmade disasters. The vast majority of these efforts are all directed to reducing the impact on people and property after a disaster has occurred. These efforts are effective and have great real value. Until this time however, very little effort is made to mitigate disasters before their impact. All first responders’ claim the first few minutes after a disaster are the most important time to reduce the impact on people and property. Correct information and fast response are of utmost importance when responding to disasters after they occur. We know from experience the last few minutes before the impact of a disaster is also of utmost importance to reduce the effects on people and property. It is the last few minutes before disaster impact when actions can be taken to avoid or lessen effects. Duck, cover, escape, hide, move, close up, slow, and stop, are some of the many responses we can take when confronted by disasters. Coal mine canaries, Church & Temple bells, air raid sirens, and smoke alarms, set the early warning standards for past generations. They were effective for their time and now it is time to create a truly effective early warning system for the 21st century. Technology has changed - We now enjoy a convergence of enabling technologies allowing effective early warnings for almost all kinds of natural and manmade disasters. This intersection of existing technologies now makes it possible to receive warnings and respond to these disasters before their impact in a highly effective manner to dramatically reduce their impact on our lives. WHAT IS REQUIRED - A truly effective early warning system requires that we maximize the use of our existing technologies. Failure to provide adequate early warning of disasters is a failure of ALL societies to recognize their ethical and moral obligations to their members. Specific Necessary Elements are required to meet the Prime Directive for an effective Early Warning System. The primary delivery method for warning signals must be wireless (R/F), point to multipoint. Transmission of early warnings must be done by the most reliable method possible during disasters. Landlines (Public Switched Network) do not have real time capacity or robustness required for directed real time warnings to large numbers of users during disasters. Internet related (Ethernet) systems are subject to overload, power failures, and significant latency (delays) during disasters. Receiving devices must be always capable of receiving early warning transmissions. Receiving devices must always be capable of receiving a signal to initiate immediate mitigation response. R/F signal must have priority access over other transmissions with priority overrides and short burst packets. Receivers must have battery power capability during times of power interruptions. System must include a wide variety of receiving devices capable of generating both human and automated responses. Different disasters require different levels and types of responses. Some disasters such as earthquakes have very short warning times requiring completely automated responses between sensors, activators, and a hierarchy of controlling computers to properly mitigate damages without human intervention. Human responses need to be backed up with pre-programmed responses from devices to act on their behalf when human responses are not available, reliable, or effective. E.g. people sleep, may be unavailable, forget responses, or simply ignore warnings. System must perform real time data collection and pattern analysis for all types of natural and manmade disasters to enable effective early warnings for all potential threats. Provide a single delivery source and prevent duplication of hazard warning devices for users. Standardize responses for more effective human interface. System must eliminate false warnings. Elimination of false warnings maximizes authenticity of warnings when received. Effective warnings require those warned to have a high degree of belief that their life and/or property are in danger so that warnings are not ignored. When warned, they respond. Warnings must be sent only to those users in actual danger from a disaster event in progress. System must eliminate failed warnings. Early warnings must always be given when needed. If imminent danger exists a warning must always be sent. An effective early warning system requires users to have a high degree of certainty that warnings will always be issued when danger is present. 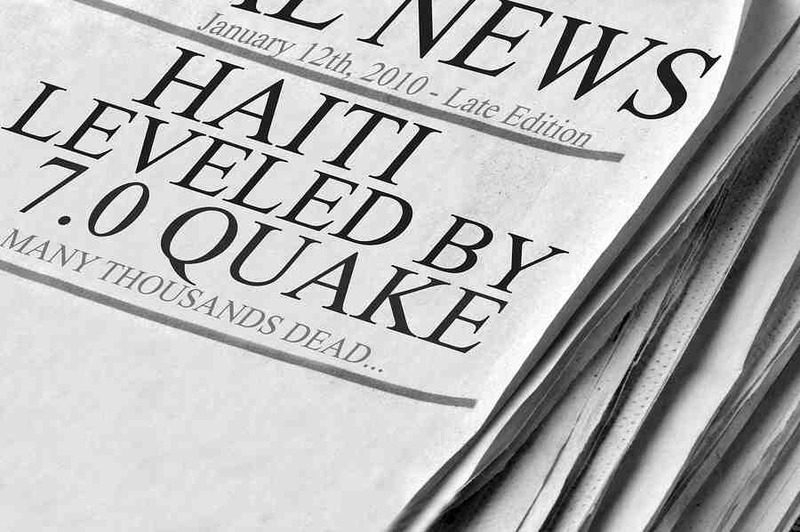 Real time knowledge of the magnitude, location, speed, and direction, of all disaster events. Real time knowledge of location information (long/lat) for all system users. Real time processing capability must be available to determine all users, and only those users, in actual danger from a disaster event before impact to users. IN SUMMARY - The effective early warning system of the 21st century must utilize specific existing technologies in combination, and as a single network, in order to efficiently aggregate sensed data and users. The central technologies to be utilized are in place and available today. REMOTE SENSING - Real Time remote sensing must be done for all hazard events to determine magnitude, location, speed, and direction, of disasters as they are occurring. GEOGRAPHIC LOCALIZATION - Real Time geographic location determination (long/lat) of each user must be done to determine who should receive warnings. GEOGRAPHIC INFORMATION SYSTEMS (GIS) - Real Time geographic information (attributes) for each user must be done to determine who should receive early warnings and determine proper mitigation activities. PERVASIVE COMPUTING - In place embedded R/F controllers (intelligence at the periphery) must enable a wide variety of electrical devices to receive early warnings and create both human and automated responses. PERVASIVE COMMUNICATIONS - Point to multi-point wireless data communications must be ready all the time, everywhere, to everything; and thus to everyone. THE PAST – The past is the foundation we use to build for the future. Every century has had its defining icons signifying early warning systems. Mine canaries are in the distant past. For the last century, the cutting edge technologies were represented by “air raid sirens” and smoke alarm systems. Fire and smoke alarm systems were created in the early 1970’s from research and efforts created by the Apollo moon program. Early semiconductor technology enabled inexpensive particulate and heat sensors to be placed in widespread usage in all commercial, business, public, and private structures. These systems operate automatically to detect the presence of smoke or fire when it is in the very early stages. They are trusted devices. The enjoy UNIVERSAL USAGE because of their success in reducing death and property damages, these systems are universally mandated by legislative and insurance requirements. Cities require smoke and fire alarm systems because they save lives and reduce first responder costs. Insurance companies require them because they reduce damages to property and lower claim costs. All commercial entities require them because of liability issues for failure to properly protect occupants. Automated control of elevators and air-conditioning systems. Some of these actions require a human response and others operate automatically without the need for human intervention. All actions occur because we understand that the possibility of fire cannot be eliminated, and we know that pre-planning, fast detection and early warnings can eliminate unnecessary loss of lives and property. And finally, fire and smoke alarm systems are limited to the structures they are designed to protect. The Disaster Warning System of the 21st Century will provide early warning protection from most of the hazards and unpredictable excesses of our physical environment on the earth and its atmosphere. THE FUTURE - The Disaster Warning System of the 21st Century will utilize the smoke and fire alarm analogy, but is much different in size, scope, and beneficial effects. As in smoke and fire alarm systems, the new system will be everywhere around us and always ready to trigger predetermined actions in a timely manner to save our lives and reduce damages to our property. The Disaster Warning System of the 21st Century will be an everyday fact of life for every person. And, it will be for all types of natural and manmade disasters. The system will be ubiquitous, transparent, and always available to protect our lives and property. It will also be reliable and worthy of our trust. EARLY WARNINGS FOR ALL NATURAL AND MANMADE DISASTERS - The natural disasters that will be detected include tornadoes, earthquakes, lightning storms, floods, and tsunamis. Manmade disasters such as chemical spills, biological releases, terror actions, and nuclear accidents will also be detected. WARNINGS ONLY TO THOSE IN NEED - As in fire and smoke alarm systems in our buildings, it will utilize a wide variety of sensing and detection technologies to determine the presence, in real time, of natural or manmade disasters in the outside world. It will analyze the information about the disasters and send early warning signals over a network of distributed transmitters to exactly those selected areas and to exactly those selected users in actual danger from an existing disaster. To achieve maximum effectiveness the new system will benefit from the “network effects” of very large scale. The system will communicate highly time critical and totally scalable information about the surrounding physical environment at all times and to everyone who has been determined to have need and can benefit from the early warning information. WIDE VARIETY OF WARNING DEVICES AND RESPONSE ACTIONS - The early warning signals will be received by a wide variety of common commercial and consumer electronic devices embedded with network receiver/controller chips to receive the warning signals and cause human or automated pre-programmed responses to mitigate the effects of the disasters. Many different types of mitigation response actions will be initiated by the early warning signals from the Disaster Warning System of the 21st Century. A few of the many types of actions that will occur are shown below. Audible warning alarms will be initiated. Warnings will be received on cell phones, pagers, televisions, radios, computers, fire/smoke alarms, and any other type of common communication device. The audible warnings will advise the type of action necessary to minimize danger. Warnings and instructions will be issued on public address systems. Automated pre-programmed actions will be initiated. Any type of audible warning device that is in an off position will be turned on and the volume turned up to receive audible early warnings during all types of disasters. Gas, fuel, and utility lines to buildings will be controlled to prevent fires or explosions. Transportation controls will be initiated to control traffic flows to speed emergency rescue efforts. EMERGENCY RESPONSE FIRST RESPONDER actions will be initiated. AAs we know, the first few minutes after a disaster are so crucial for first responders. These early warnings will significantly improve response times and provide a very important “head start”. For emergency response personnel such as rescue, fire, police, and ambulance personnel, this will allow much quicker and more accurate first response efforts and further reduce disaster impacts on lives and property. The early warnings will reduce response times and often allow emergency response efforts to start in an area even before the disaster has occurred in that area. Homes, Schools, hospitals, and nursing homes. The Disaster Warning System of the 21st Century will allow pre-planning, fast detection, and early warnings for all types of natural and manmade disasters. These early warnings will be directed to selected areas and selected receivers, through a ubiquitous variety of receivers, allowing an unlimited variety of mitigation responses to protect lives and property. Disasters cause much unnecessary death, injury, and property damage in every country in the world that could be significantly mitigated with effective early warnings. Quick adoption and usage of this new Disaster Warning System will significantly reduce these effects and add much value to all of our lives. A flow chart of the proposed Disaster Early Warning System of the 21st century is shown below.